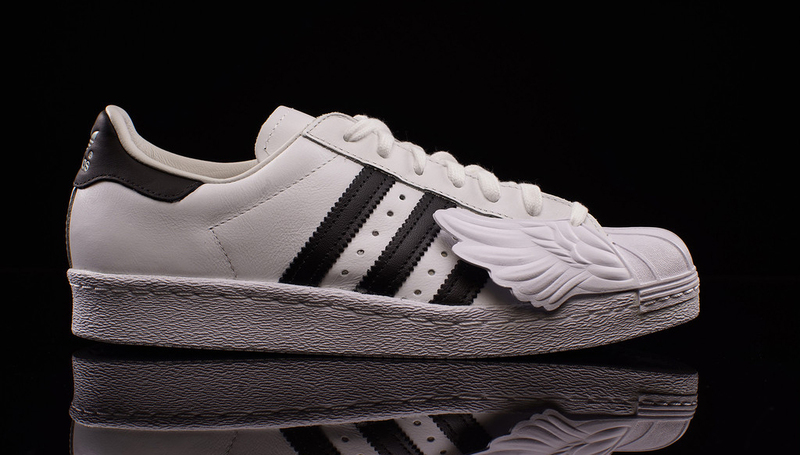 Jeremy Scott and Adidas collaborate on a new version of the Superstar, featuring little wings at the bottom of the eyelets. 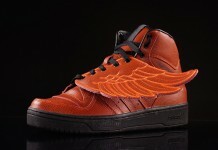 JScott is known for some wild renditions but this one less on the crazier side. 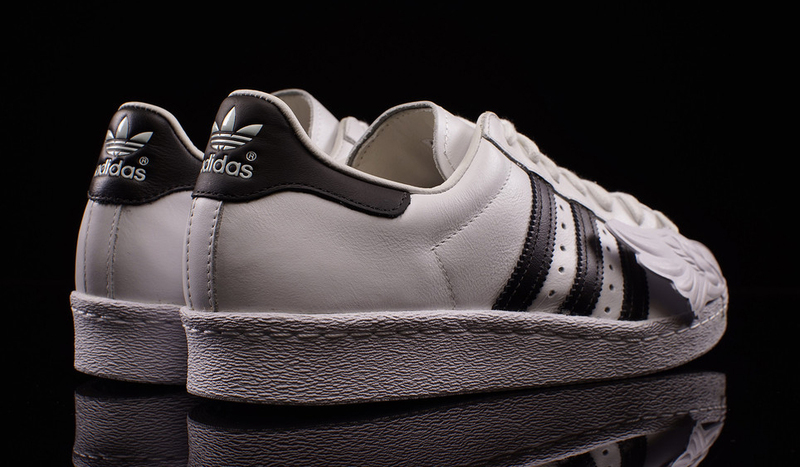 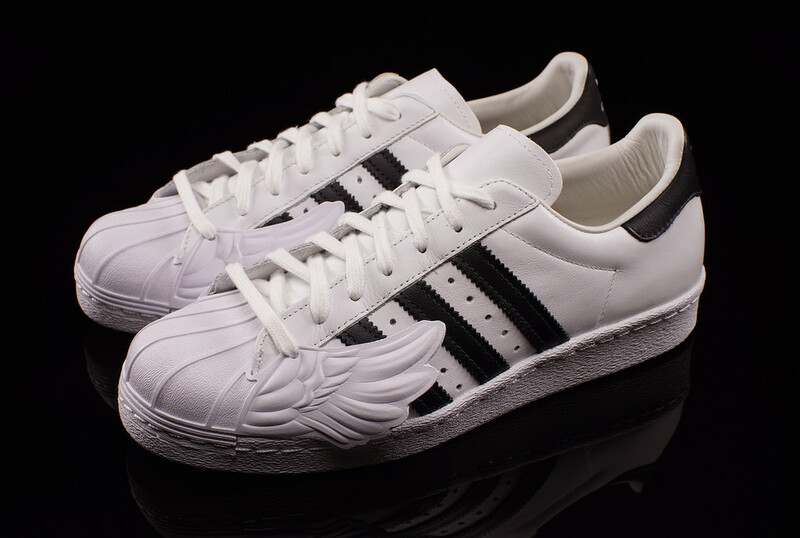 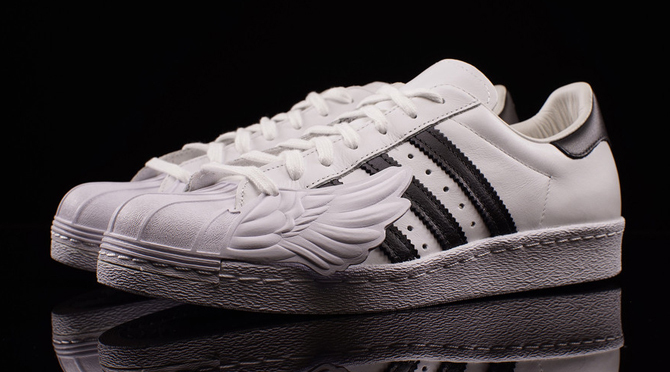 The latest release by Jeremy Scott features the classic Superstar 80’s model in the OG colorway, with little wings attached to the shell toe. 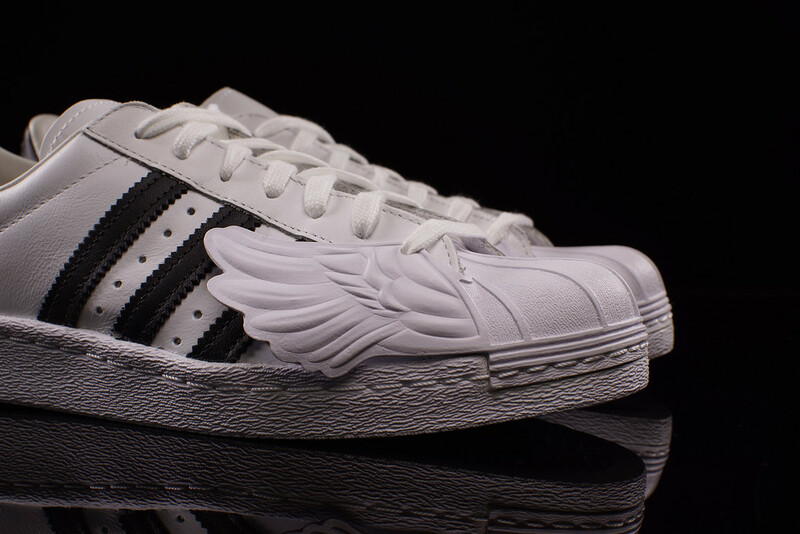 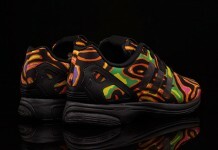 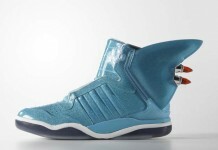 For those that like Jeremy Scott’s work but on the more toned down side, You can scoop up a pair right now over at Oneness.